Gatlinburg getaway? Yes, please! My husband and I recently had the opportunity to spend the weekend in lovely Gatlinburg, Tennessee. I have been to Gatlinburg more times than I can count, but I always look forward to getting back to this great city in Tennessee. 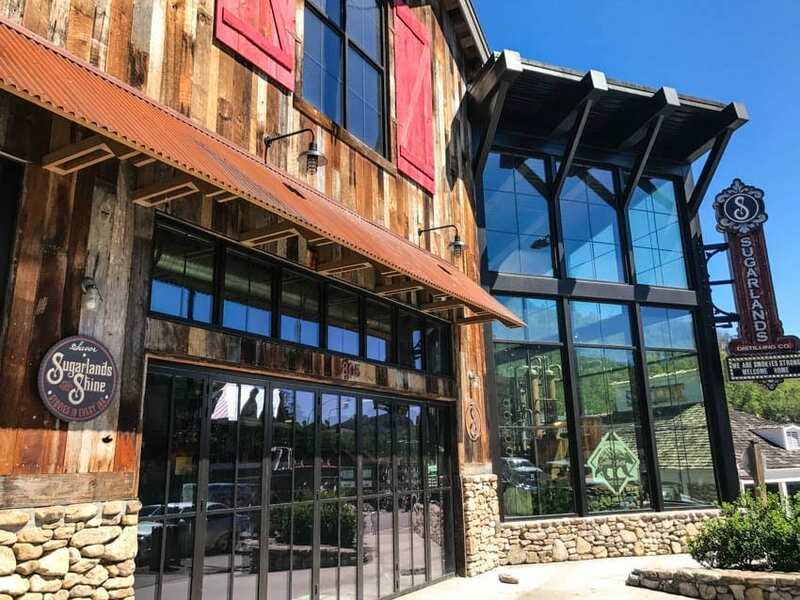 On my recent trip to Gatlinburg, we had the opportunity to explore the distillery. We had a wonderful time enjoying the laid back atmosphere of the city itself and exploring Sugurlands Distilling Company. 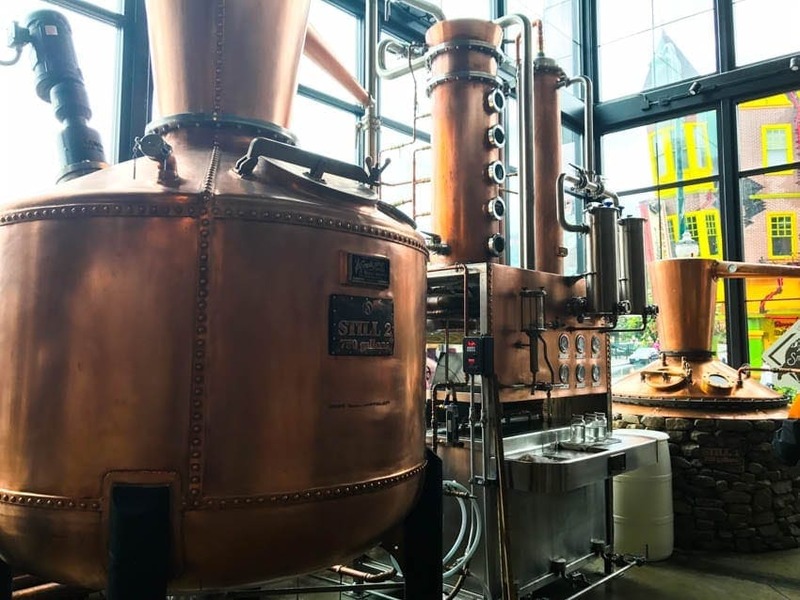 This distillery was the main focus of our weekend Gatlinburg getaway, and it was the highlight of our trip! This trip was sponsored by Sugarlands Distilling Company but my opinions expressed here are my own and not influenced in anyway. Our weekend began with a change of hotel. We were scheduled to stay at Buckhorn Inn, but due to an unforeseen power outage, we ended up staying at Hilton Garden Inn instead. Very nice accommodations. We couldn’t have asked for anything better. It has an architectural style that is modern and sleek and yet retains that rustic feel that we all love about the mountains. It’s a look I’ve seen attempted before, but these guys pulled it off beautifully. After getting set up at the Hilton, we headed over to Sugarlands Distilling Company for a private tour and tasting. What a place. It’s truly amazing. It captures the perfect mix of old-time and modern in its architecture, but it’s all old school when it comes to whiskey and moonshine. These guys know their stuff. My husband and I enjoyed touring the distillery and seeing their copper distilling equipment and their racks and racks of whiskey and moonshine barrels. From there, we went to Cherokee Grill for dinner, and then it was back to the distillery for a mixology class. That was almost as much of an experience as touring the distillery itself. I really had no idea you could make so many drinks with whiskey, not to mention moonshine. It’s really quite amazing. I always think of these two liquors of something you drink straight and grimace afterwards, but the mixology class showed us something so different from that. We started day two of our Gatlinburg getaway with breakfast and taking in the beauty of the mountains on a hike with Smokey Mountain Guides. 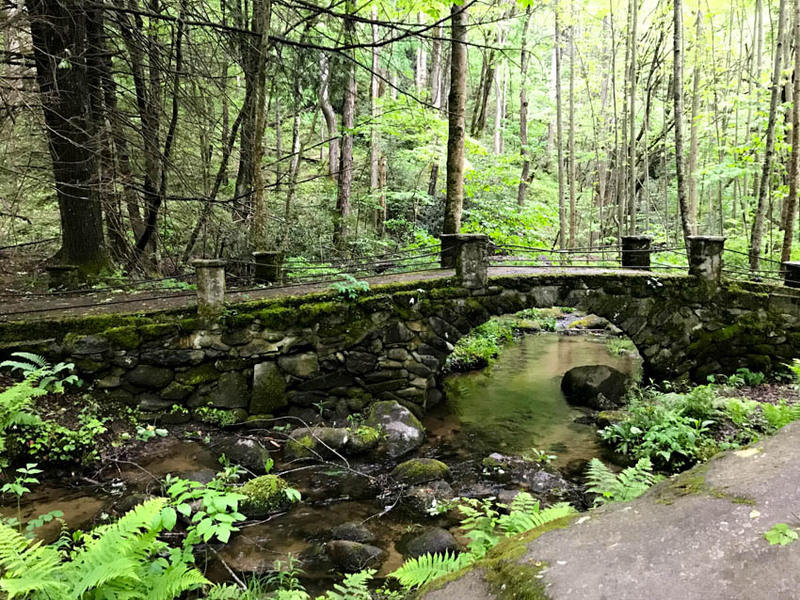 If you have never taken a hike in the Smokey Mountains, this is a must when visiting Gatlinburg! Take in all the beauty and wonder. Our guide, Clayton, was very knowledgeable of the area. 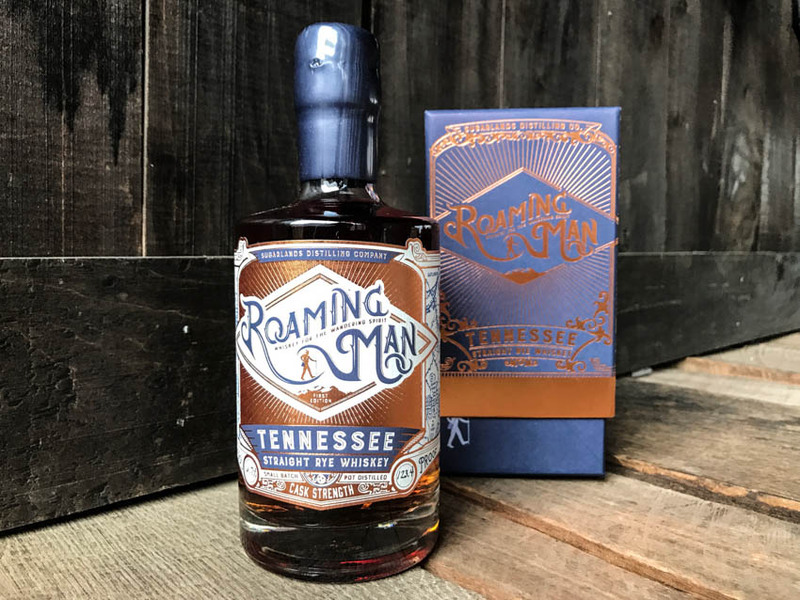 After that, we had a lunch at Sugarlands’ back porch before our Roaming Man Whiskey Tour where we learned all about Sugurlands’ small batch release aged whiskey, Roaming Man. We got to learn how they made and aged it, and we got to taste it, as well. It was tasty. Really tasty. We also attended and in-depth workshop on distilling with Sugarlands Distilling Company where we learned all about the distilling process, why the ingredients used are used, and how it all comes together to make delicious spirits. We also got to meet Moonshiners Mark and Digger from the History Channel, and got our moonshine autographed! From there, we enjoyed a nice dinner at the Buckhorn Inn. They were able to get their power back up thankfully. I didn’t have a chance to visit their cottages but their food at the inn was quite tasty and the views from the back porch were absolutely stunning. Sunday came, and we had our breakfast and headed out for home. I was sad to see the end of our Gatlinburg getaway, but I was happy to have had the experience and always look forward to our trips up there. Extra bonus, our daughter and grandkids lives within thirty minutes so always an excuse to visit Gatlinburg often and stock up on some Sugarlands Moonshine. 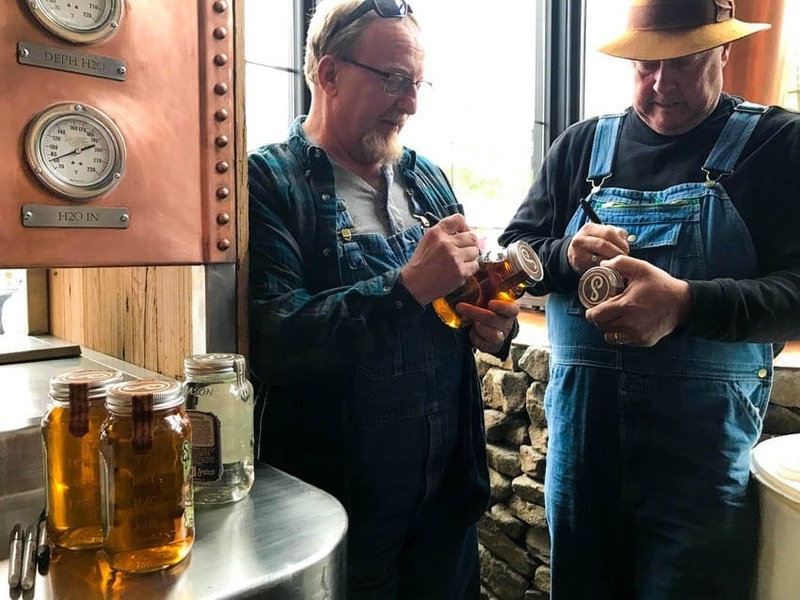 Gatlinburg is one of the most beautiful places to be in the Great Smoky Mountains, and Sugarlands Distilling Company is one of the most interesting and fun places to visit if you like moonshine, of course. We had so much fun exploring the Distillery and the area on our Gatlinburg getaway. If you’re planning a getaway to the Smokies, give Gatlinburg and Sugarlands a look!